Ready to grab my things, walk out the door, and enjoy the long weekend, I found a package sitting on my chair Friday afternoon. To my delight, it was the new Microsoft Surface Go tablet that I had been hoping would show up all week! One device that can be used in the office and in the field. One device that has the power to run their desktop apps and can be versatile enough for field use as well. Most important of all, one device that comes at a price point that works with their budget. After spending a few hours with the Surface Go this weekend, I thought I would share my experience with you. First, I should start with the tech specs of the tablet I tested. It’s the larger of 2 options you can purchase with 128GB storage and 8GB of RAM (price point is $549.00). I also have a black Type Cover (sold separately for $99.00). Both models have an Intel® Pentium® Gold Processor (4415Y), 1 USB-C port, 1 Surface Connect port and connection for the Surface Type cover along with a microSDXC card reader. The Go is a Wi-Fi only tablet (no LTE option available at this time). So if you are looking at connectivity in the field or an embedded GPS chipset, you won’t find either. Footnotes on the Surface Go website indicate “LTE capability coming soon. LTE support available with select models only. Service availability, pricing and performance will be subject to service provider’s network and varies by market and carrier.”. My hope is that this LTE model will come with a GPS, receiver but for now you will need to supplement both if required. From a form factor perspective, the 7 – 10.5 inch tablet size is ideal for field work. The Surface Go tablet, has a 10 inch screen and weight of 1.15 lbs. It feels a little bit thicker than my 10.5 inch iPad Pro but it has a kick stand on the back that adds depth. It has 2 cameras – a 5.0 megapixel front facing camera and an 8.0 megapixel rear facing camera. 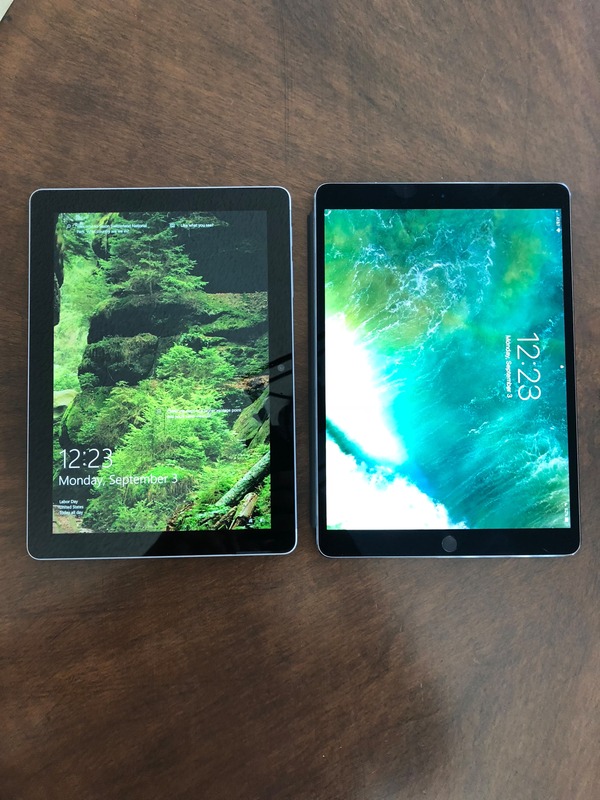 Below is the Surface Go (left) and a 10.5 inch iPad Pro (right), you can how similar they are in size. The Surface Go comes with the Windows Store installed. Of course, the first app I am going to test drive is Collector for ArcGIS and it was a snap to download and install. A quick test that I like to do with Collector is to see how long it takes to start, to load a map and switch between maps, and to get a feel for how responsive the map interaction is. The Surface Go passed with flying colors! Using Offline capabilities within Collector, you can download maps when connected to Wi-Fi. In the field you can then collect/edit features when completely disconnected. To synchronize changes, you will need to return to the office, find a network to connect to, or use a hot spot. Capturing location you can use either the map or GPS. With the Surface Go, you will probably need to buy an external GPS. Without a standard USB or serial port, Bluetooth is your best option. With Collector we document what is required from the receiver. I paired the Surface Go to an Eos Arrow Gold receiver and set the Location Provider to point to the Arrow instead of the crappy Wi-Fi position I was getting. As you can see, my GPS accuracy was quickly down to 1.6 feet (48 cm) over WAAS. Depending on your accuracy needs, there are a wide range of Bluetooth receivers to choose from, so make sure to look around before buying one. For example, Bad-Elf has several low cost receivers you can choose from. As I mentioned earlier, the Surface Go has 2 cameras and they work flawlessly with Collector when capturing attachments. Collector is a UWP app that is designed for tablets and the Windows Store. 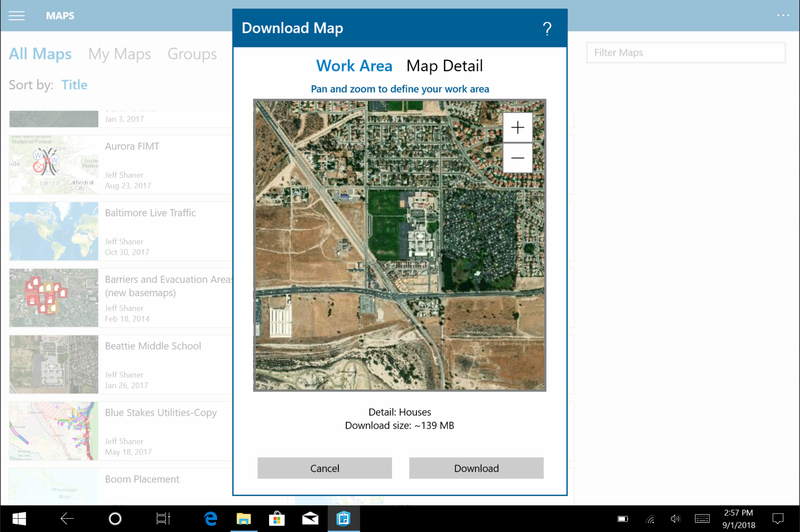 However, that doesn’t mean you can’t install and use other Esri field apps like Survey123 or ArcPad. The Surface Go has a number of optional accessories to look at too. One that caught my eye is the Kensington Blackbelt ruggedized case. It meets the MIL-STD-810G spec, has a strap, works with the Type Cover, and has a tether for the Surface Pen as well. Microsoft defines the Firstline workforce as the face of an organization, the problem solver, crisis manager, and backbone of the Enterprise. 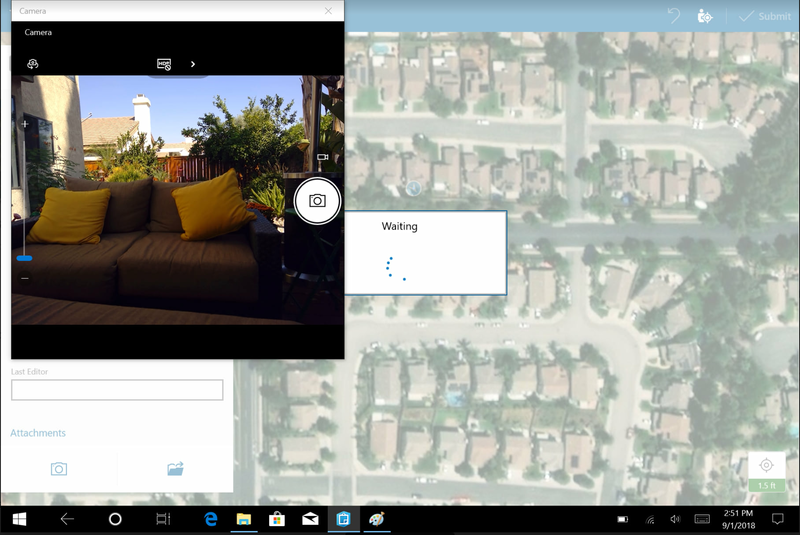 ArcGIS Maps for Power BI and ArcGIS Apps for Office bring location to Microsoft apps on the Surface Go. Insights for ArcGIS, Operations Dashboard, and other Esri’s Office Apps bring added value to the Firstline workforce. 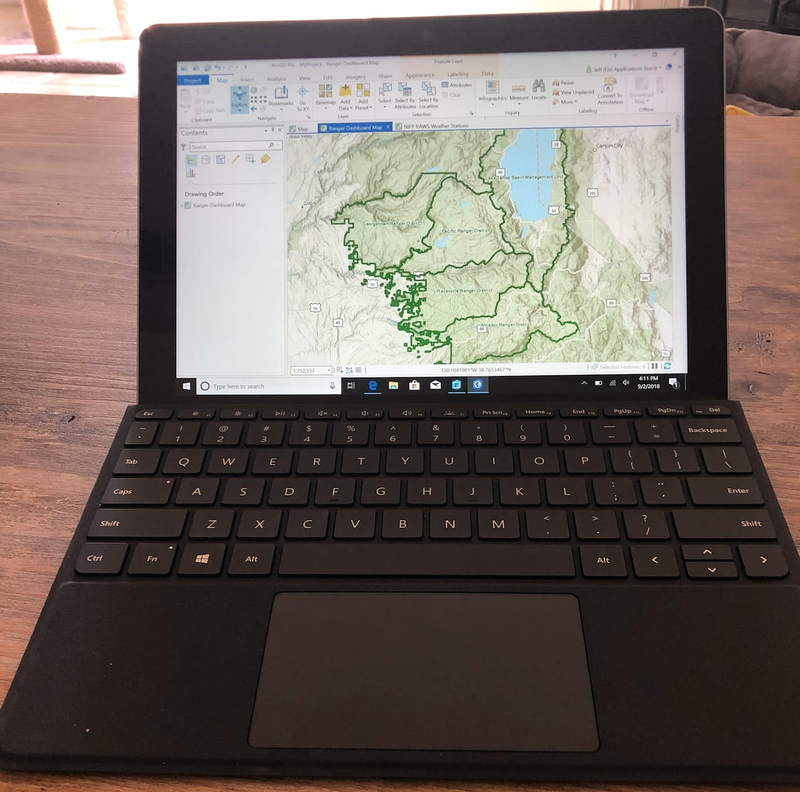 The GIS Analyst that makes maps, performs data management tasks, works with ArcGIS Online and ArcGIS Enterprise map and feature services may find the Surface Go meets their needs. Building feature layers, publishing and editing web maps, I found the Surface Go worked quite well. The GIS Analyst that performs client-side analysis, needs to print maps, or needs to visualize and edit in 3D may find the Surface Go underpowered for their needs. 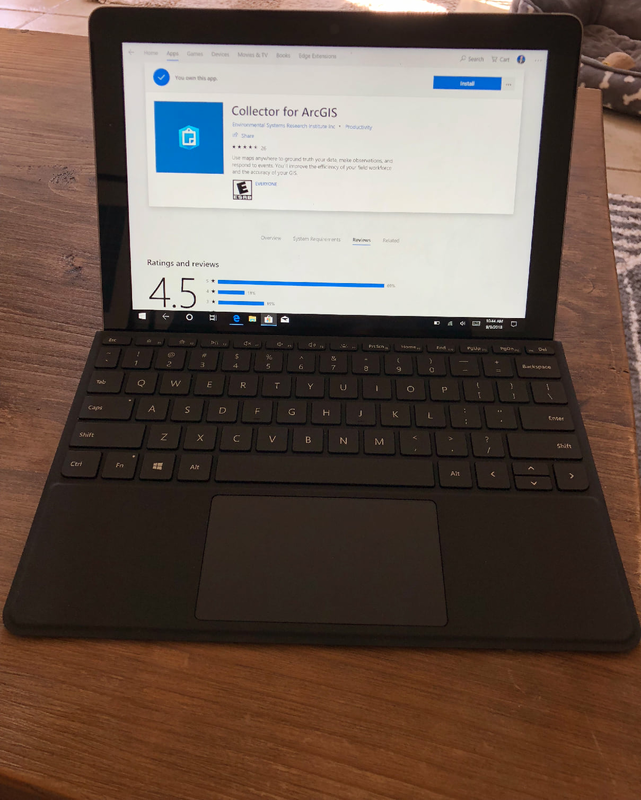 Likewise, I tested ArcGIS Earth on the Surface Go and felt it was a bit choppy for my liking. 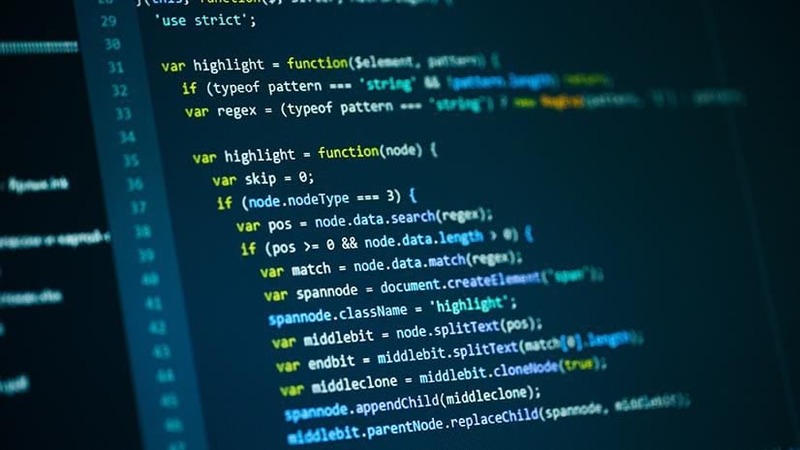 The Intel processor does support hyper-threading but with a processor base frequency of 1.6 GHz and only 2 cores, it stretches the system requirements of ArcGIS Pro and ArcGIS Earth. The Surface Go has a lot of promise. When considering devices and platforms, make sure to include the Surface Go. As a “one device” solution for the Firstline Workforce, both in the field and in the office, I think that the Surface Go is an excellent device. Within our apps development team, we are engaged in building new field apps designed for the Surface Go and the Windows 10 platform. I’m excited to see what the future brings and look for more Windows announcements from us this fall! Jeff Shaner is a Product Lead with the software dev team at Esri. Delivering GIS tools and apps that enable users to work more productively, safely, and effectively has translated into 23 years of inspired work with the talented dev team at Esri and dedicated ArcGIS users around the world. In his spare time, Jeff enjoys few things more than a good round of golf or hockey followed by a stop at his favorite craft brewery.